This week's dvar Torah is by Rabbi Dr. Moshe Pinchuk, Head of the Jewish Heritage Center and Campus Rabbi, Netanya Academic College. The Weekly Torah readings follow a set order independent of any particular date. We begin at Bereshit and proceed inexorably week by week until we have traversed the entire Pentateuch, and then we start anew. When a Yom Tov occurs on Shabbat, this order is disrupted, the portion appropriate for that holiday is read and we then return to the regular order. The Talmud (Megillah 31b) has drawn attention to two exceptions, where a correlation between the date and the portion are nevertheless required: “R. Simeon b. Eleazar says: Ezra made a regulation for Israel that they should read the curses in Leviticus before Pentecost and those in Deuteronomy before New Year.” During the Gaonic period, this list of exceptions was expanded. Among these required correlations, we now have: “and the fast of Tisha B’Av precedes Va’Etchanan”. The formulation of this correlation is unique. All other correlations indicate that a particular portion be read prior to a given date. In our case, however, the event (Tisha B’Av) is to be followed by a particular portion (Va’Etchanan). Indeed, the Biur halakha interprets the Gaonic dictum to mean the derivative, that is, Va’Etchanan post Tisha B’Av implies that Dvarim is read prior to Tisha B’Av, and this is important so that the rebukes of Moshe be read in preparation for Tisha B’Av. This explanation carries much merit. However, it begs the question, why would the Gaonim couch a Dvarim requirement in Va’Etchanan terms? I would like to suggest that the Gaonim indeed meant that it is important to read Va’Etchanan post Tisha B’Av. The Talmud (Berachot 32b) makes the following observation: “R. Eleazar also said: From the day on which the Temple was destroyed the gates of prayer have been closed, as it says, Yea, when I cry and call for help He shutteth out my prayer. But though the gates of prayer are closed, the gates of weeping are not closed, as it says, Hear my prayer, O Lord, and give ear unto my cry; keep not silence at my tears”. One of the consequences of the Destruction was that the Gates of Prayer have been shut. On Tisha B’Av, we are acutely aware of the verse in Eichah (3:8), “Although I cry and call for help, He shutteth out my prayer”. The chances of our prayers being heard have dimmed and diminished. So too warned Isaiah (1:15), “And when ye spread forth your hands, I will hide Mine eyes from you; yea, when ye make many prayers, I will not hear; your hands are full of blood”. This is the reason, explained Rav Soloveichik, that we do not recite Tachnun or Selichot on Tisha B’Av – any added attempt at prayer is doomed from the start. The first Shabbat after Tisha B’Av is Va’Etchanan. The first subject in Va’Etchanan is the prayer of Moses, “And I besought the LORD at that time…”. From this prayer we infer the triple layered structure of all prayer: “R. Simlai expounded: A man should first praise the Holy One, blessed be He, and then pray. Whence do we know this? From Moses; for it is written, And I besought the Lord at that time, and it goes on, O Lord God, Thou hast begun to show Thy servant Thy greatness and Thy strong hand; for what god is there in heaven and earth who can do according to Thy works and according to Thy mighty acts, and afterwards is written, Let me go over, I pray Thee, and see the good land etc.”. Since the destruction, the gates of prayer have been shut. 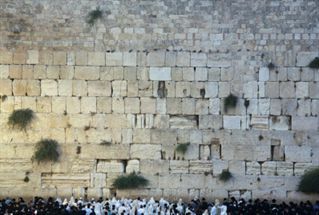 After the fast and repentance of Tisha B’Av we may now attempt to reopen the gates of prayer and rehabilitate our connection with Hashem. This is achieved by relearning how to pray – via reading how Moshe Rabenu constructed his prayer. The fast of Tisha B’Av, however, is a prerequisite condition for our ability to pray after the destruction.